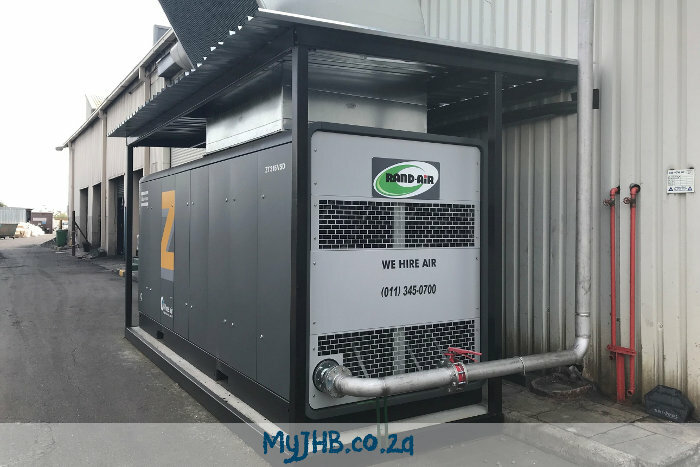 Rand-Air supplied an Atlas Copco ZT315VSD oil-free air compressor to the major South African pharmaceutical manufacturer Adcock Ingram. Leaders in the rental of portable air and power solutions Rand-Air is proud to have been able to contribute to South Africa’s pharmaceutical manufacturing industry this year. The company supplied an Atlas Copco ZT315VSD oil-free air compressor to Adcock Ingram, a major South African pharmaceutical manufacturer, listed on the Johannesburg Stock Exchange which manufactures, markets and distributes a wide range of healthcare products and is a key supplier to both the private and public sectors. Rand-Air Marketing Manager Byrone Thorne explains how this came about: “Towards the end of last year, Rand-Air’s Business Development Manager for Long Term Rental, Henry Fourie approached the customer, as the pharmaceutical industry is an important vertical target sector for us. He established that, at Adcock Ingram’s Steriles and Critical Care Manufacturing facility in Aeroton, there was a requirement for a standby compressor. “In spite of some competitor competition, Henry pressed home the advantage of our successful track record in terms of the provision of reliability, safety, quality and superior customer service – and won the order,” Thorne adds. The pharmaceuticals facility currently has its own two centrifugal compressors, which supply oil-free air. This high-purity oil-free compressed air is fed into an extensive stainless steel piping installation which prevents rust formation, oil carry-over or other contamination. “The Atlas Copco ZT315VSD with its 1,557 cubic feet a minute, 8.6 bar supply is eminently suitable for this application as it supplies completely contaminant- and oil-free air,” Thorne adds. “In this instance, we did not supply a dryer as Adcock Ingram’s takes the feed from our compressor through their own in-house dryer. While the ZT315VSD is a standby unit, in the event of an operational issue with one of the in-house centrifugal compressors, the Atlas Copco ZT315VSD would take over the supply of compressed air with minimum disruption to the facility’s manufacturing capability. The unit is well-suited for the rigorous 24/7 duty cycle required by the customer; and its output is critical in ensuring uninterrupted production. The rental supply contract is for a period of three years. An absolutely reliable supply of completely contaminant and oil-free compressed air is essential for pharmaceutical high-speed mixing processes – and also for blending, packaging and the in-house water plant which produces the water, combined with active ingredients used to make drugs that are injected into our bodies. This water is also used as the final rinsing agent for any component that comes in contact with the drug such as vials, ampules, caps and stoppers. While the customer has the responsibility to make sure that the compressor is suitably located and secure, Rand-Air’s high-quality service and maintenance service is all part of the package. Furthermore, in the unlikely event that the customer experiences any issues, Rand-Air will be on hand to supply a replacement unit in the interim. “So it really is a hassle-free service,” asserts Thorne. “We were pleased with the way the installation went and are happy to have this extra standby capacity,” says Adcock Ingram Process Improvement Project Engineer Johan Bredenkamp. “This is very much in line with Rand-Air’s rental ethos, where the customer is given the freedom to concentrate on their core business while leaving the responsibility for the provision of essential, contaminant and oil-free compressed air to us,” he concludes.